The first step towards selling your home is to decide on a real estate agent (or real estate agent team), contact them, and arrange to meet them in person. This is your opportunity to learn about what kind of person your agent is, the professional grade of their services, and whether their personality is a good fit for what you need. It also gives your agent the chance to get to know you, your financial situation, and your real estate needs. It's not uncommon for real estate agents to form strong friendships with their clients, and if you get along well, your agent should be happy to work with you on any future sales and moves. Your chosen agent should also provide you with a professional consultation as part of your meeting. For home sellers, a consultation would involve your agent outlining the current state of the real estate market in your area, and giving you an idea of how your home might perform. You might also get a quick expert assessment with suggestions on what you can do in terms of repairs, updates, staging, and other changes that can increase your home's value. Your agent will then tell you what similar homes in your neighbourhood have sold for, how long your home might remain on the market, what a reasonable listing price is, and how much competition you can expect. Once you feel comfortable with your agent and confident in their expertise, you can form an agreement to list your property with them. After the verbal agreement, you need to formally enter into an agency relationship with your real estate agent. You'll go over a few documents with your agent, including a multiple listing contract, Schedule A, Residential Data Input Form, Property Disclosure Statement, and reports for FINTRAC. (Your agent should explain what all of these documents mean and entail, so you aren't going into anything blind.) You can also get additional material on the steps and benefits of working with a REALTOR®. You may be eager to start holding open houses right away, but it's important to come up with a schedule and plan for the upcoming days with your real estate agent. Your agent will have advice on how to best optimize your property for showing, and it may require some time and prep work. Work closely with your agent during this period and communicate often — your agent has plenty of years of experience in marketing properties, as well as connections and resources that aren't usually available to non-REALTORs®. One of the greatest assets of working with a real estate agent is that you get to take advantage of their network. When we represent a client's property, we make a company announcement and start arrangements for an agent open house or office tour. 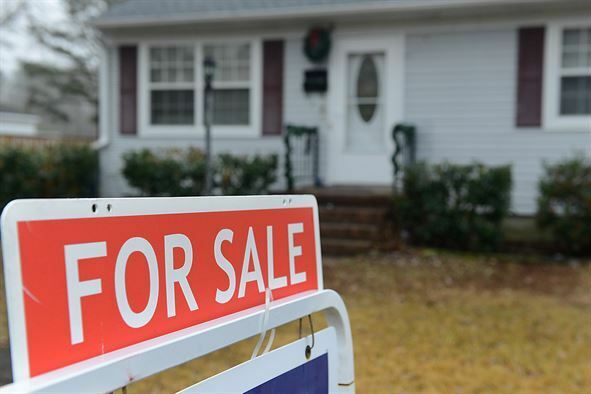 This means that right away your property is being placed in front of local professionals who are representing clients who may be a perfect fit for your sale. Don't forget the general public! When we're listing a property for sale, we take care of any physical signage, marketing materials and advertising (such as brochures). You'll get advice on how to best improve your home's curb appeal, plus assistance with staging your home to make it as attractive as possible, while we take care of any open house scheduling and oversight. After your home has spent some time on the market, your agent will present you with a list of buying offers that have been made. They should go over each offer with you in detail, noting the individual benefits and drawbacks of each deal, and advising you on how to negotiate a result that's best for you. Real estate negotiation can be competitive, and it is extremely likely that any offer you accept will come with subject clauses or conditions that you have to meet. A professional inspection and/or appraisal of your home will be required in virtually every deal. If parts of the property are in poor shape, you may be requested to lower the sale price by the cost of repairs or have the repairs done before the title is transferred. Clauses can also involve the property's sewage, insurance, conveyancing fees, strata services, and other features. A good real estate agent can help you navigate all of this, and understand how different clauses might impact your total financial gains. When you decide on an offer that you feel is right for you, your agent will be your liaison with the buyer and/or the buyer's agent, and will work with them to satisfy all of the subject clauses. When all of the subject clauses are removed, your SOLD sign goes up! Once you accept an offer, it's time to begin the physical process of moving out of your home (if you haven't already) as well as the legal process known as conveyancing. You should start preparing to move right away, especially if you have children whose schedules are dependent on the school year. Cancel your utilities, make sure your mail is set to be forwarded, arrange for movers, and check off all the other big and little tasks needed to move a household. Your real estate agent can help with this as well, by referring you to trusted local moving service companies and helping you with change of address forms. You'll also need to make time for the conveyancing process, where you complete the closing documents and title transfer needed to legally transfer ownership of your property to the buyer. This involves a lawyer or notary working together with your real estate agent, bank, and insurance company, as well as those of the buyer. Your real estate agent can help you gather the information your lawyer will need, make sure your paperwork is in order, and address any fees. Once the paperwork is done and you and the buyer have signed the property transaction documents, the property deposit will be collected. All of the documents will be reviewed one last time, and when the completion (or closing) date rolls around, you'll receive the funds for your former home. Your agent will then deliver the property keys to the buyer upon the possession date, leaving them with a brand new home to call their own, and leaving you with the funds to — if you'd like — start a brand new adventure.